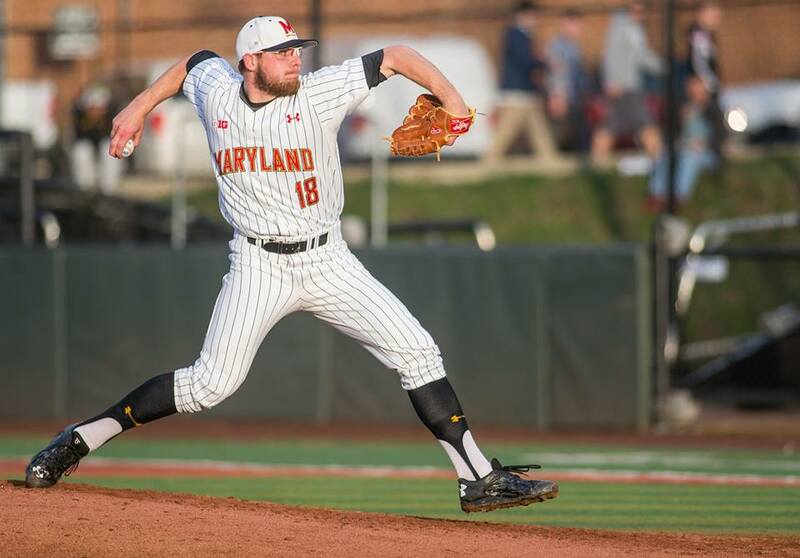 Taylor Bloom tallied 16 strikeouts over eight innings in a 2-1 win Sunday night in Gaithersburg, Maryland. Taylor Bloom has been dominant in his two June starts. 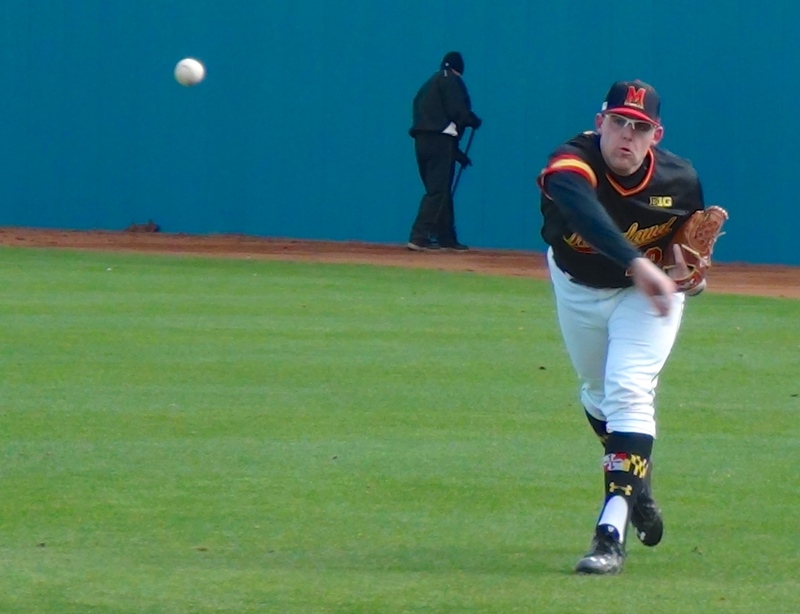 Bloom was pitching for the Gaithersburg Giants of the Cal Ripken Collegiate Baseball League. He held the Alexandria Aces to one run on two hits and only walked one, leading the Giants to their first win of the summer season. 12 of Bloom’s 16 strikeouts came on swings and misses, with the majority of them induced by his sharp changeup. 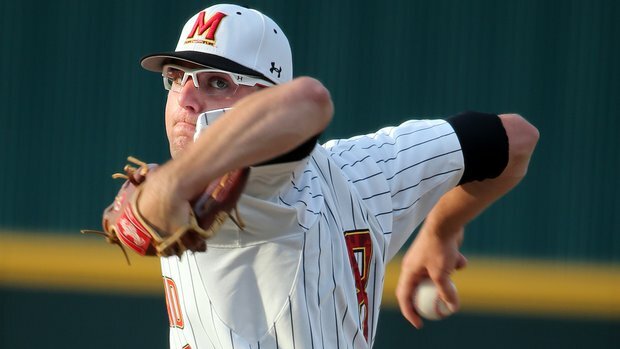 Bloom worked with Maryland teammate John Mazza, who caught all nine innings for the Giants Sunday night. 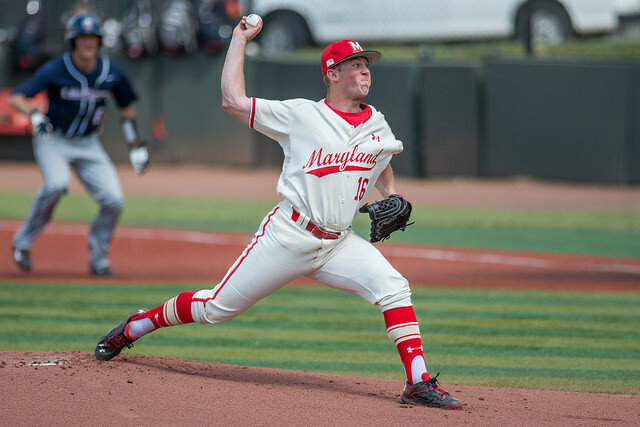 Maryland players have dispersed across the East Coast this week to begin their summer ball seasons. 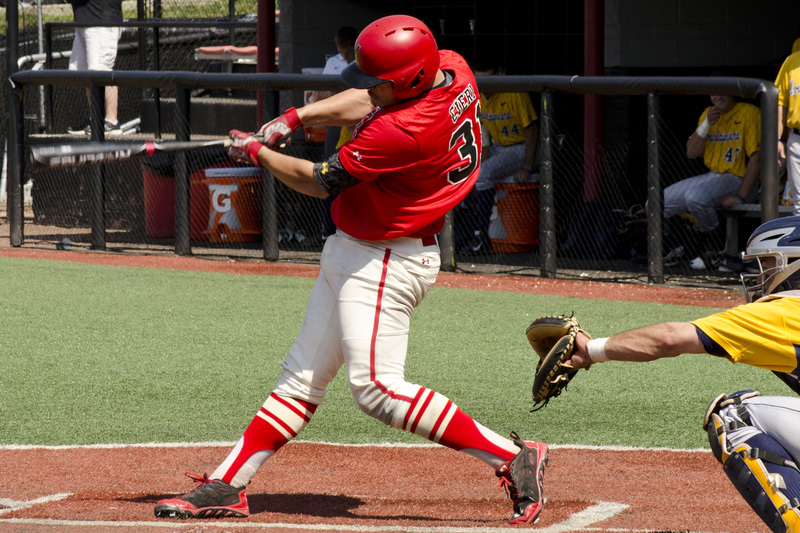 The summer season runs through the months of June and July and gives college players a chance to play in front of scouts with wood bats. Players who aren’t staying local will spend the summer living with host families. 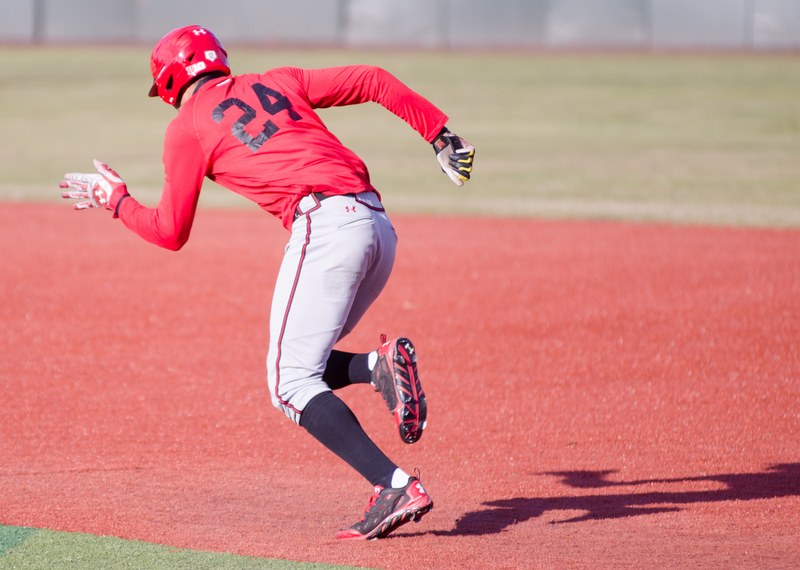 Mike Shawaryn will make four starts for Team USA this summer. 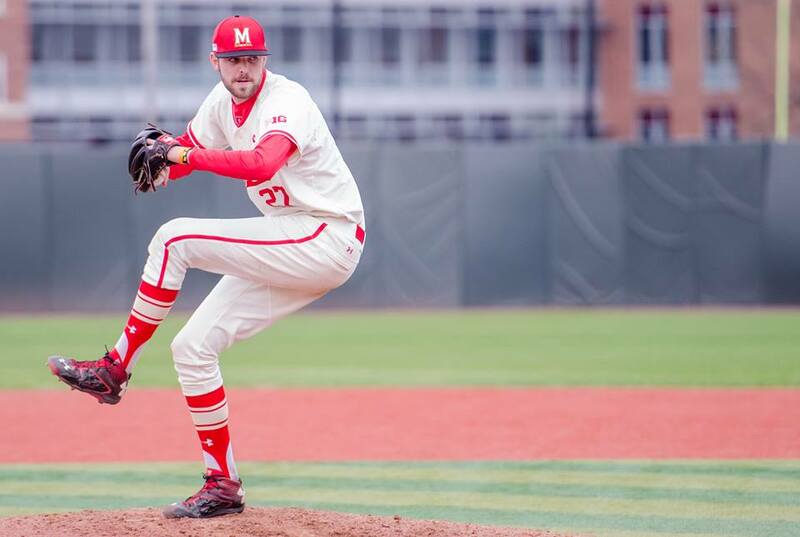 Ryan Selmer joins a host of Terps playing in the Ripken League this summer.